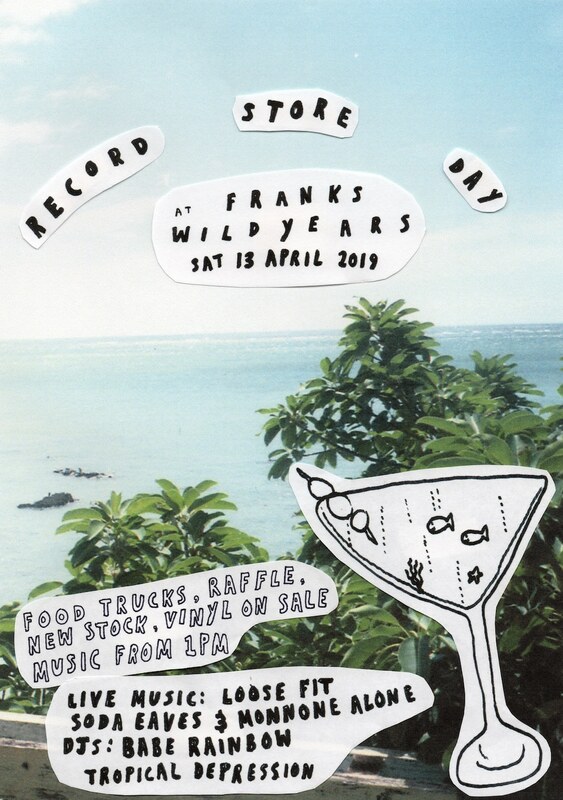 Franks Wild Years are not yet over judging buy the line up at this store in Thirroul, NSW. 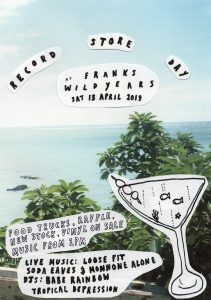 HEAPS of new arrivals of second hand vinyl, sale crates, raffle, food truck and live music!! Performances by Monnone Alone, Soda Eaves, Loose Fit and DJ sets from Babe Rainbow and Tropical Depression. Open 10am, music from 1pm.